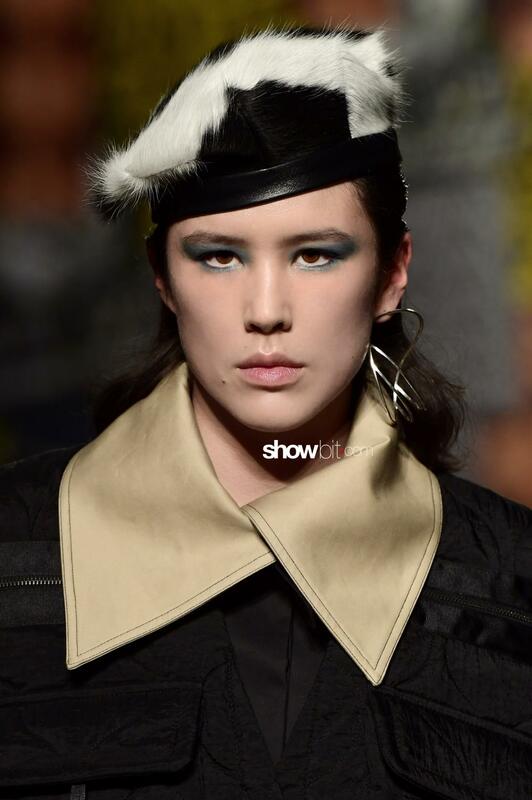 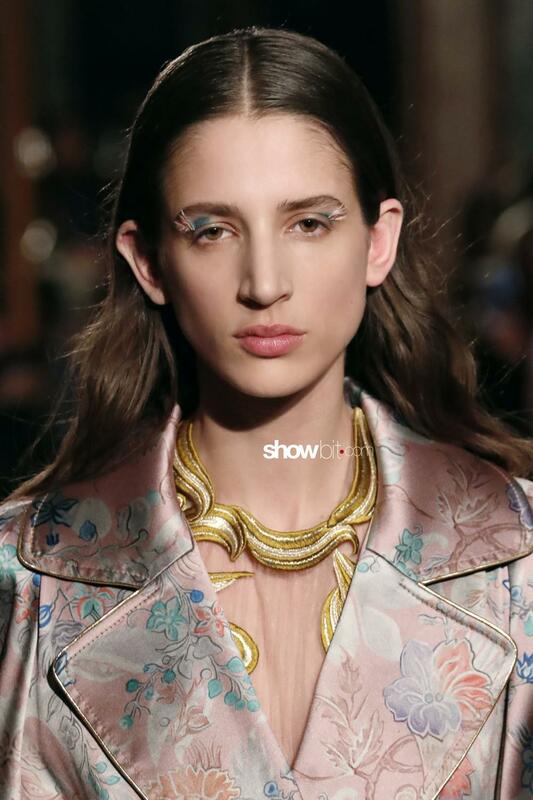 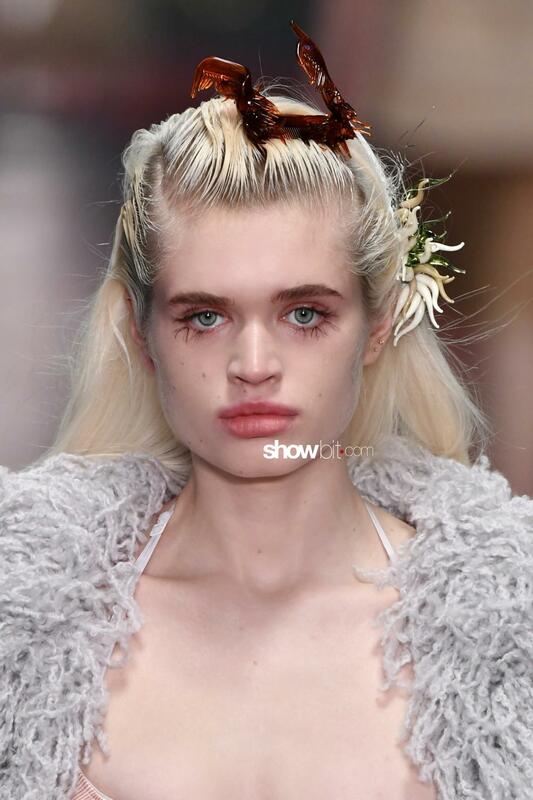 When it comes to beauty, London Fall 2019 runways proved to be a real playground for experimentation: romantic, gothic, eclectic or natural, the make-up is studied in the smallest details at the hands of skilful make-up artists. 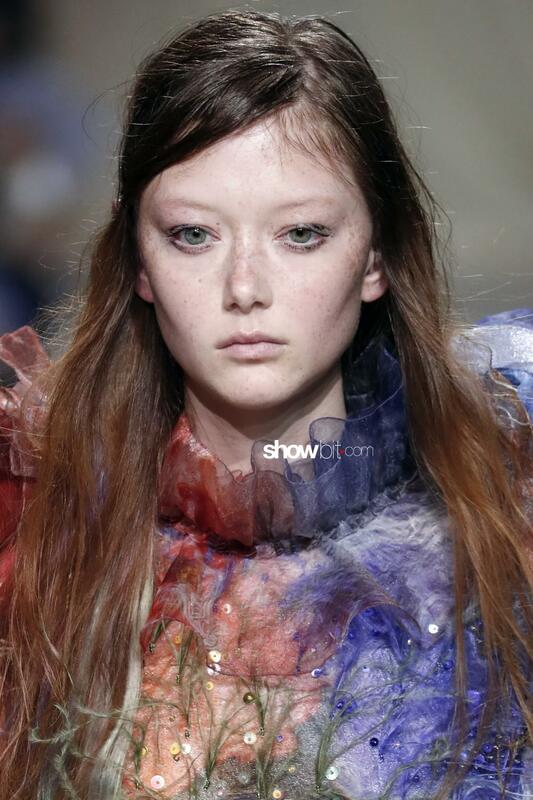 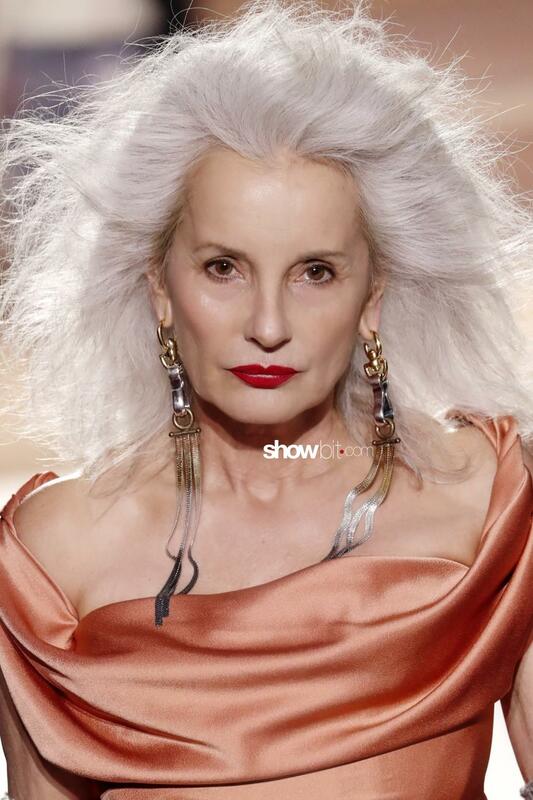 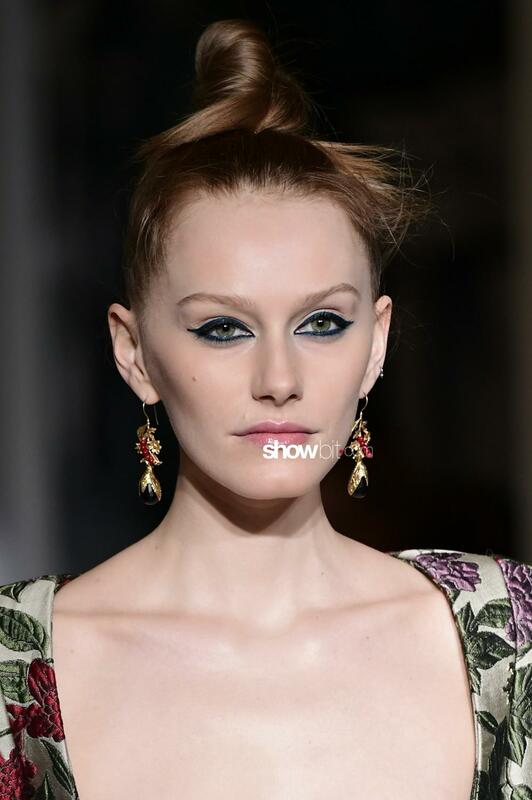 We took a closer look at some of the most interesting hair and make-up moments from the British capital! 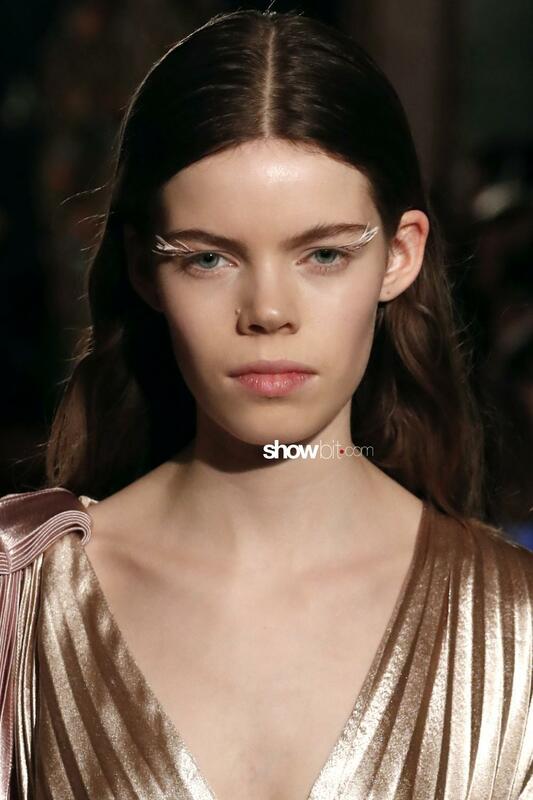 A party look is offered by Peter Pilotto‘s runway, where make-up artist Inge Grognard applied feathery faux lashes on the corner of the eyelid, as a reference to the feathers used in the clothing collection. 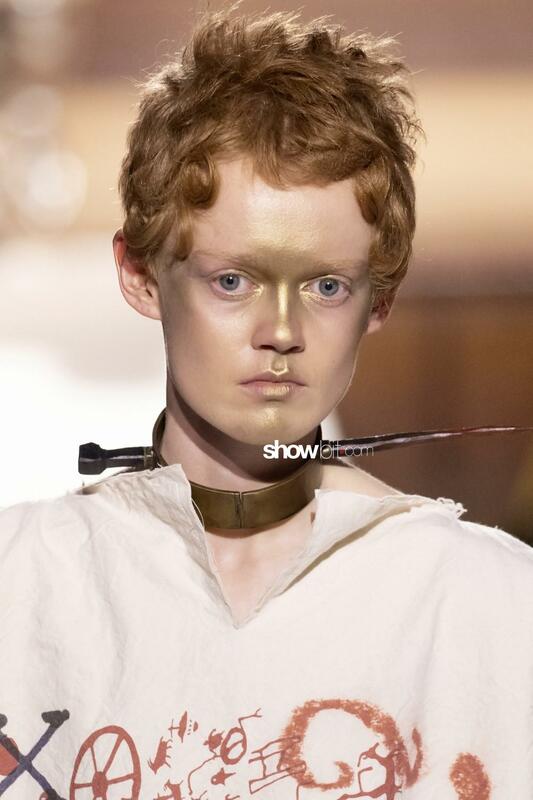 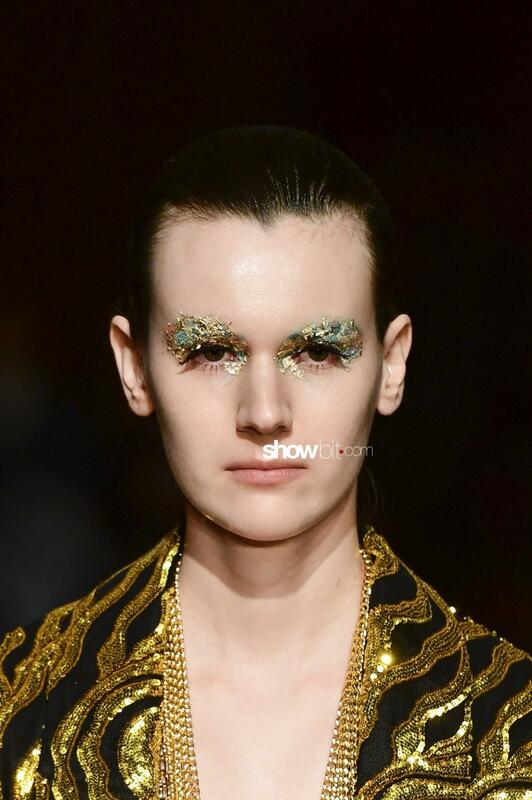 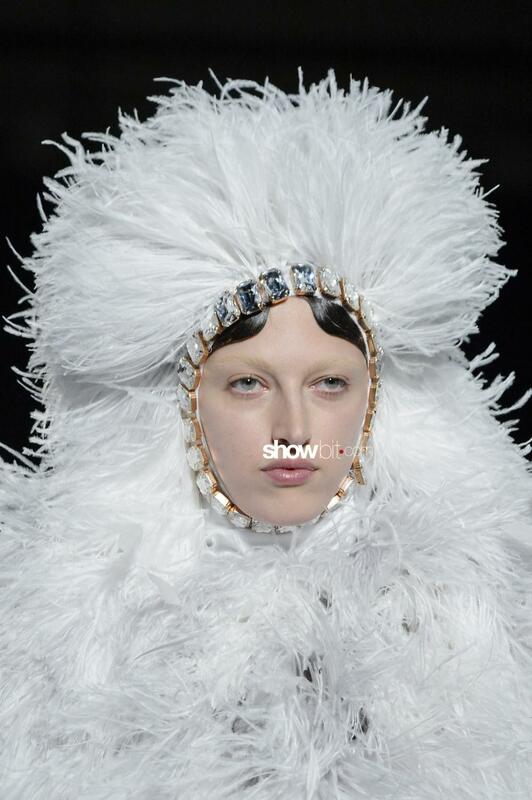 Coats of glitter are applied on the lids for a veritable paillette effect in Halpern‘s show, created by Isamaya Ffrench, who also added a magic Midas touch on Vivienne Westwood‘s models faces, decorating them with shimmering gold glitter from the forehead to the chin. 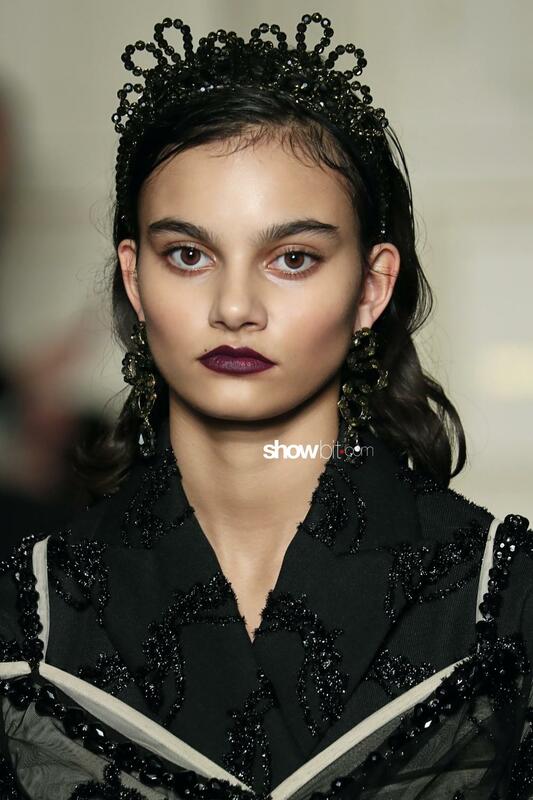 A gothic allure is created on Simone Rocha‘s catwalk: her models have deep burgundy lips, matching more romantic beaded headbands and clips. 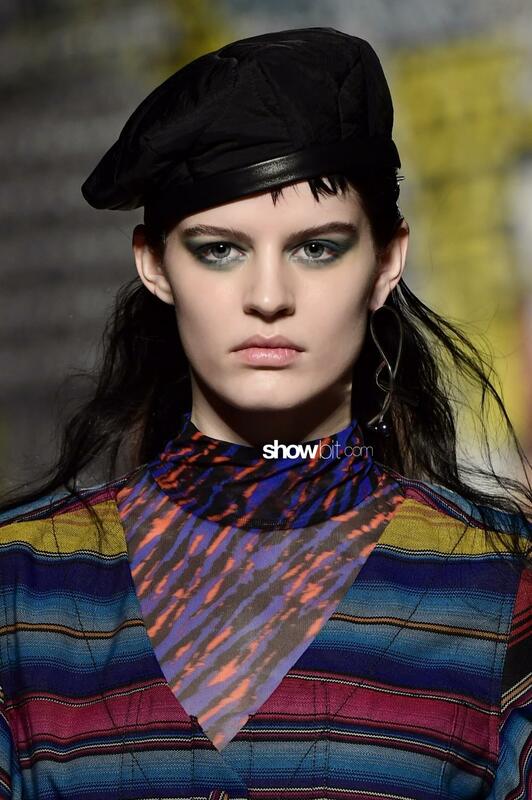 Colour dominates on House of Holland and Mary Katrantzou catwalks: if the former chose aquamarine hues for the eyeshadow, the latter introduced candy-coloured extentions in line with the collection’s chromatisms, created by hair colorist Josh Wood. 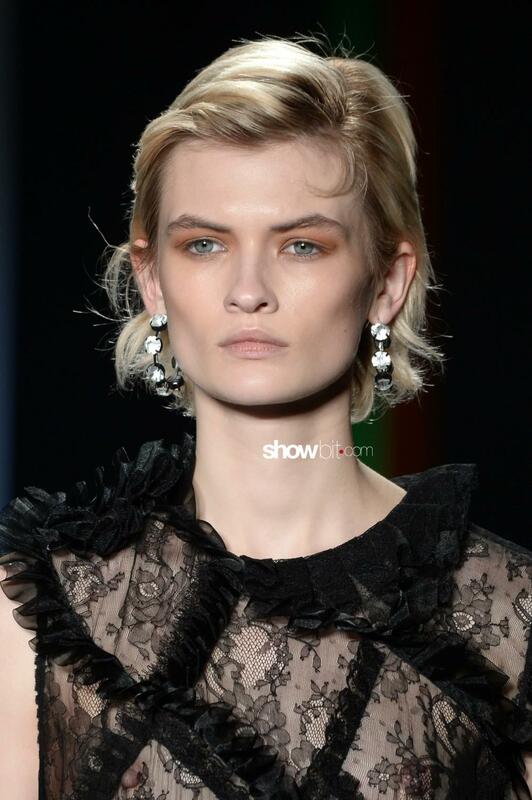 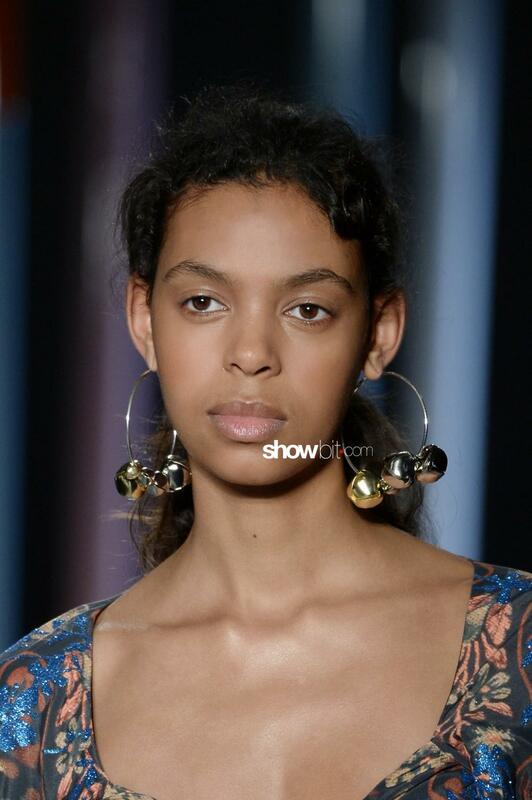 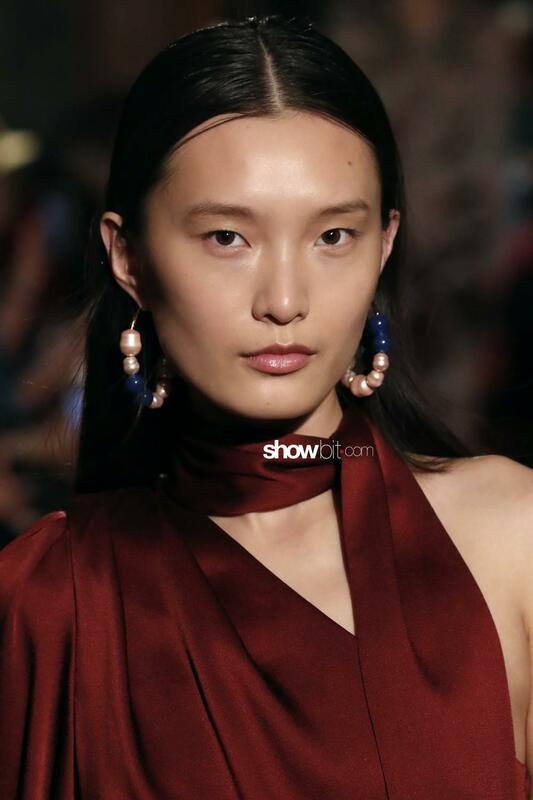 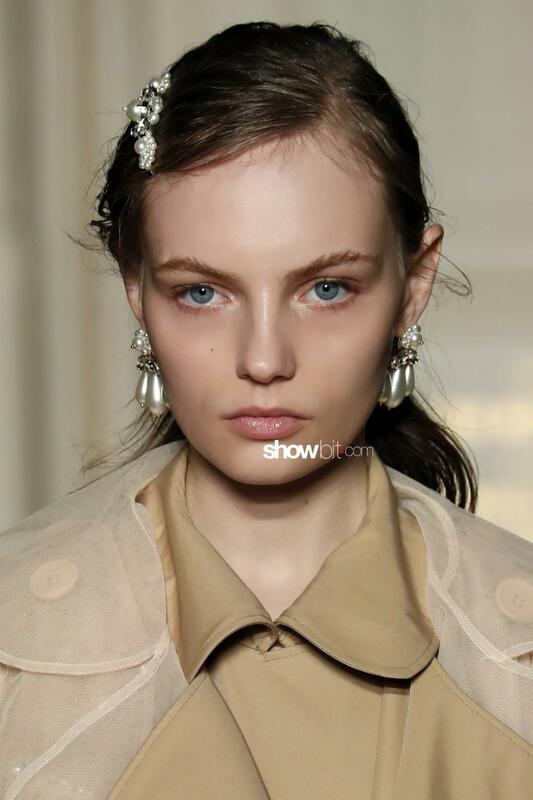 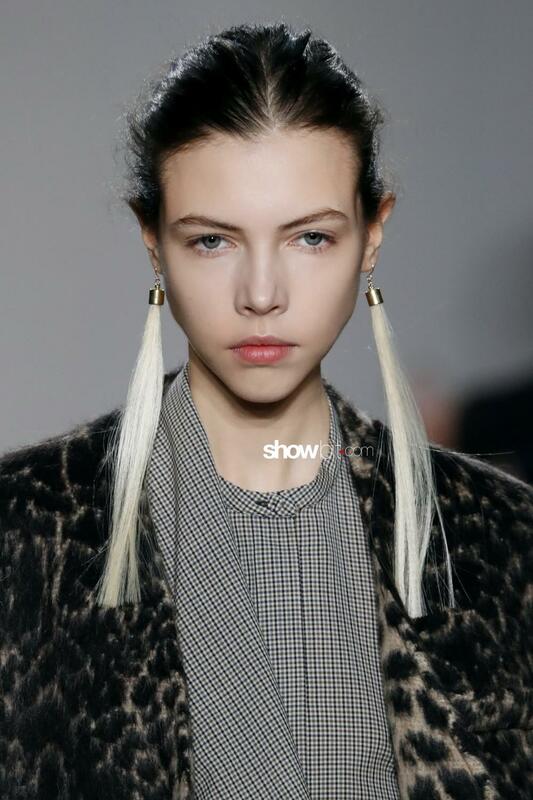 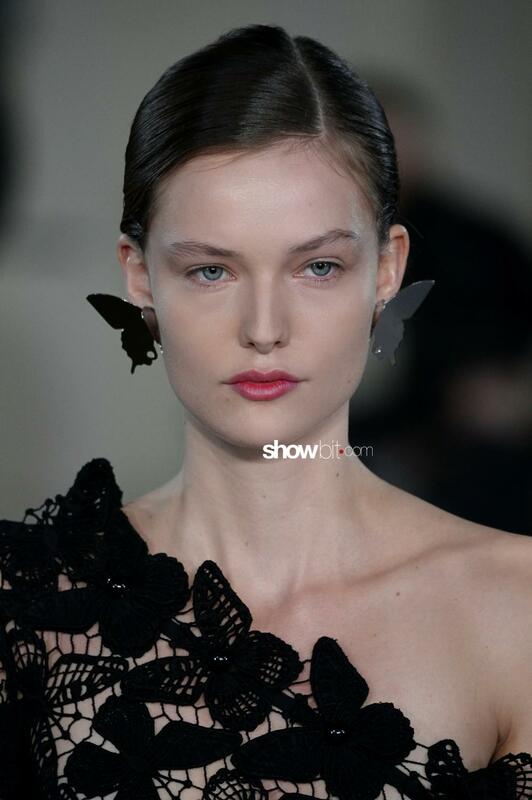 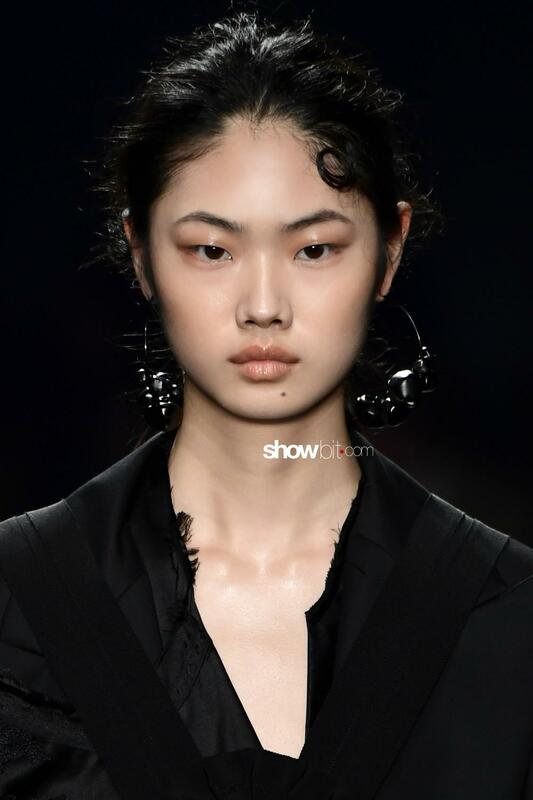 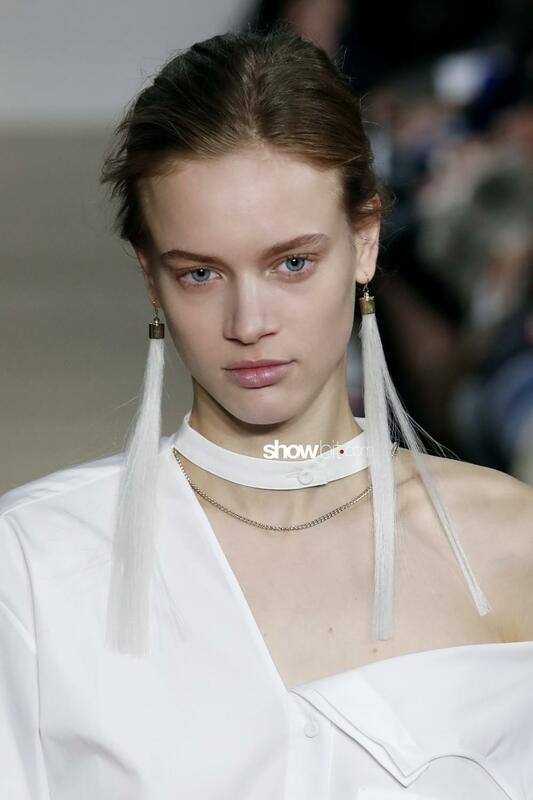 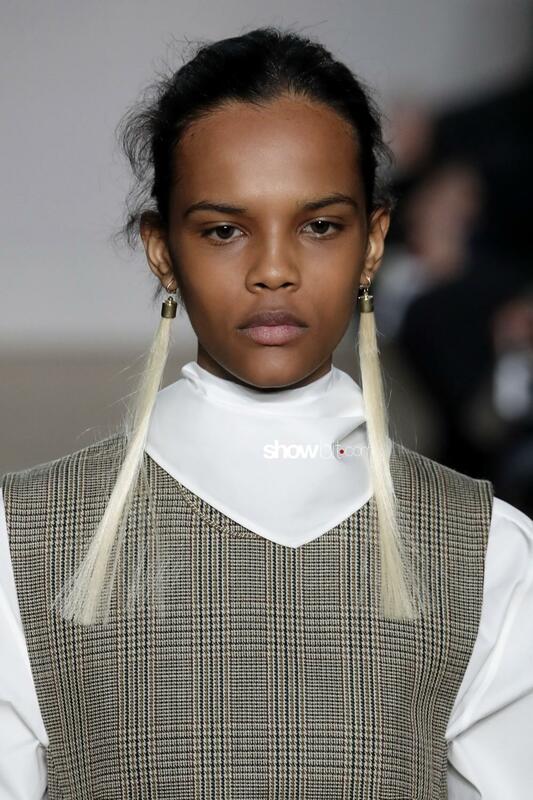 An astonishing effect is also offered by hair stylist Guido Palau‘s hair earrings for Ports 1961, that imitate thin ponytails in varying colours. 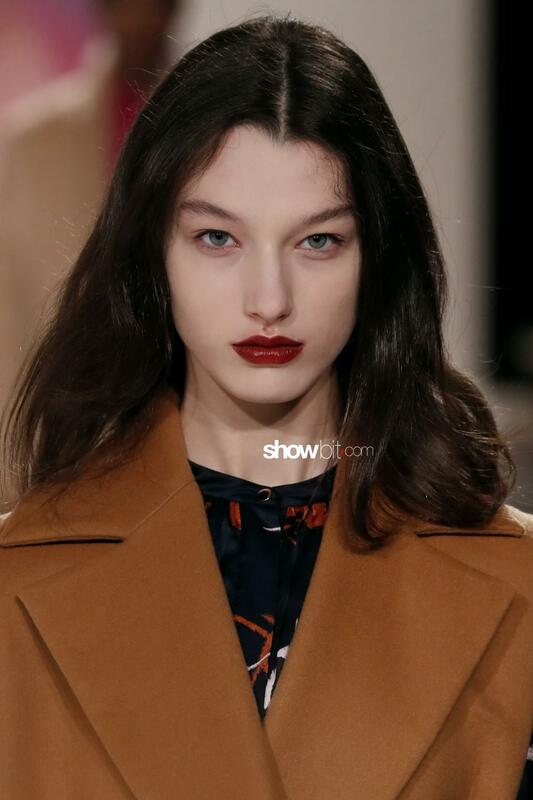 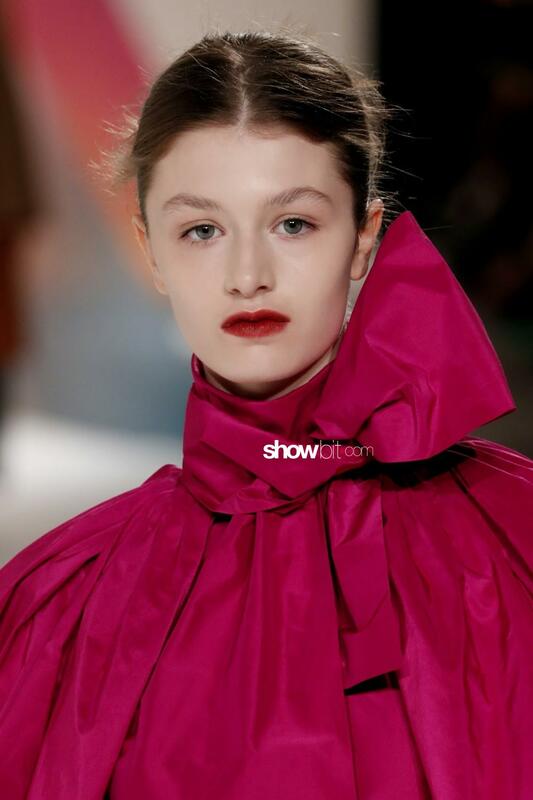 More feminine is Roksanda‘s woman: Miranda Joyce painted her lips in a dark shade of red, combining it with a defining touch of mascara. 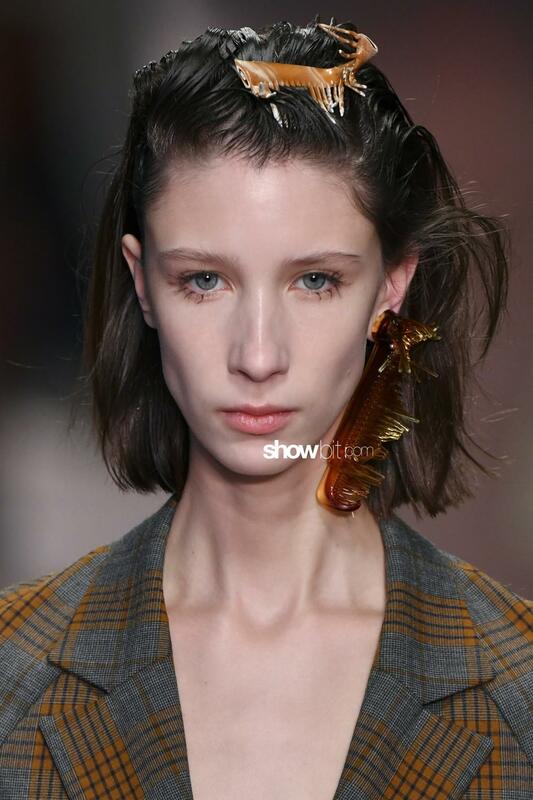 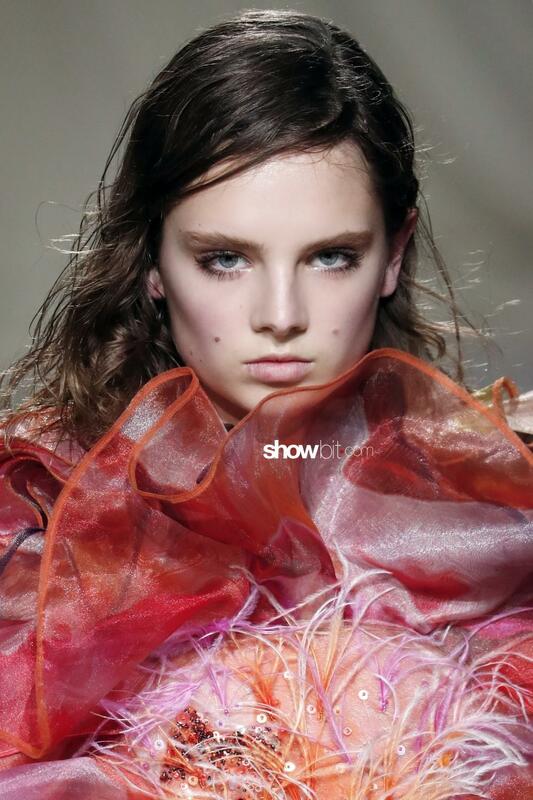 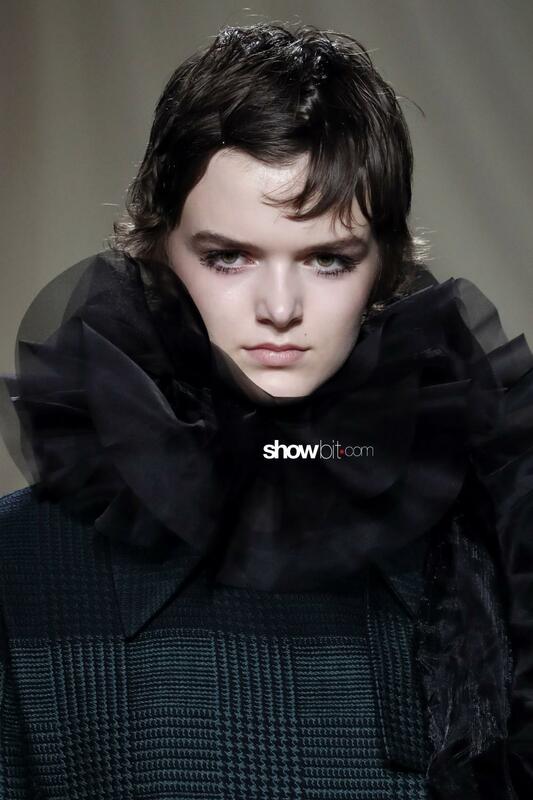 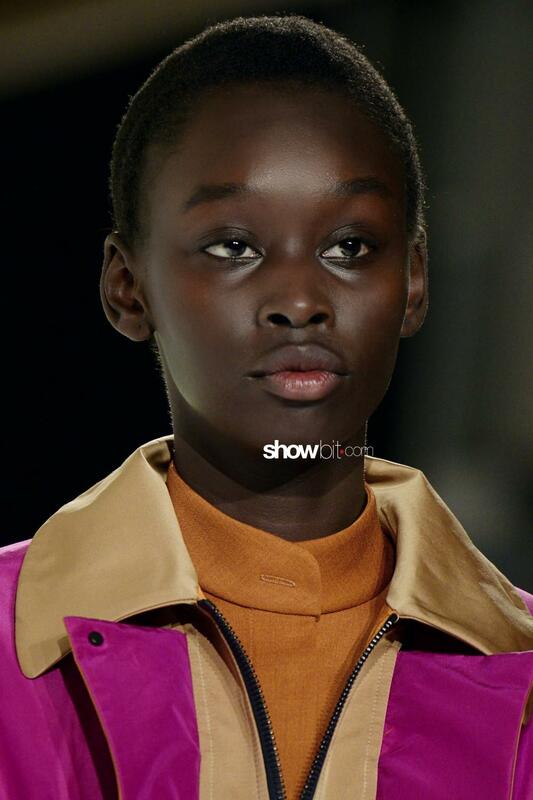 Debbie Finnegan chose instead a cherubic look for Fashion East models, with peach-blushed cheeks, in order to give a fresh and young look à la Fragonard paintings.